Since the DIY guide for this is dead on this site and people have been asking me how to take it apart, I decided to make a short and simple diy. It only takes me 5 minutes to take everything apart now..
5)now that the lower panel has been pulled, let it hang as low as possible leaving everything exposed. 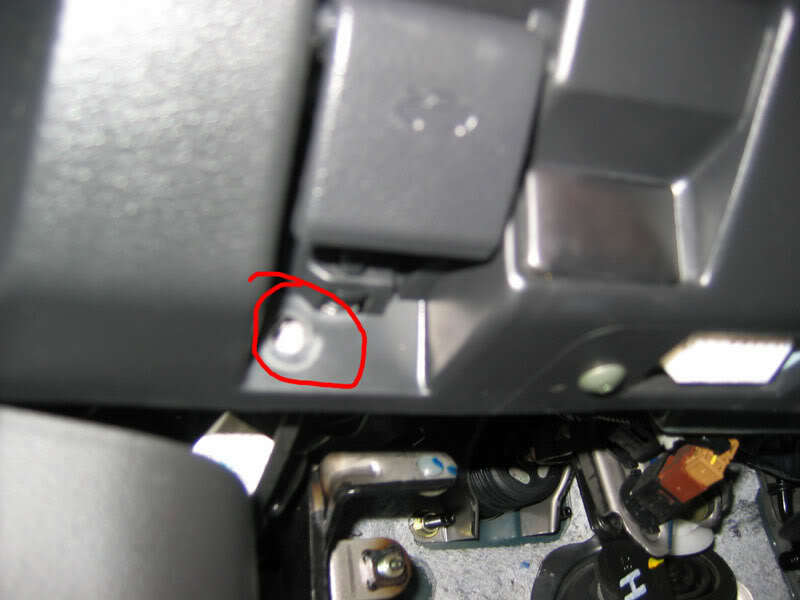 Next use the 10mm to unscrew the two bolts circled and remove the metal bracket. 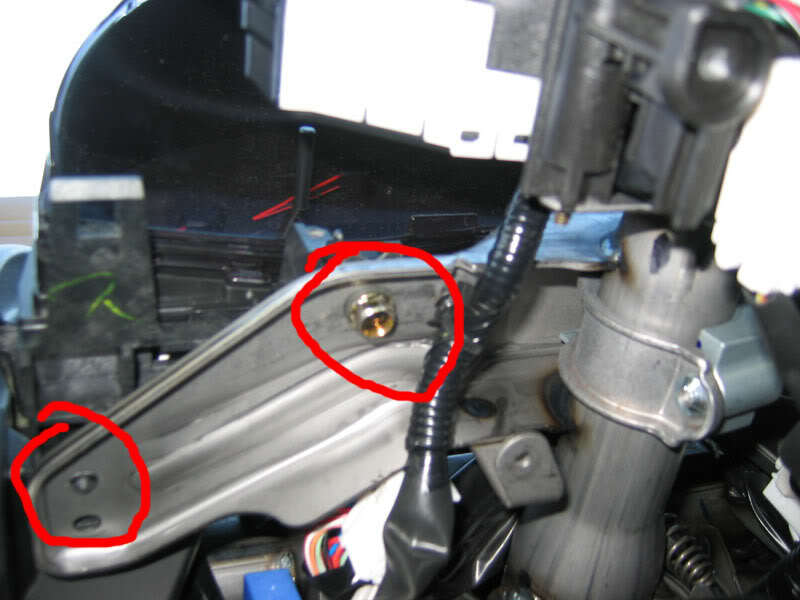 7) Next remove the signal/ wiper assembly. There are two tabs, one on the top and one on the bottom.. press both tabs and pull. It should come right out. 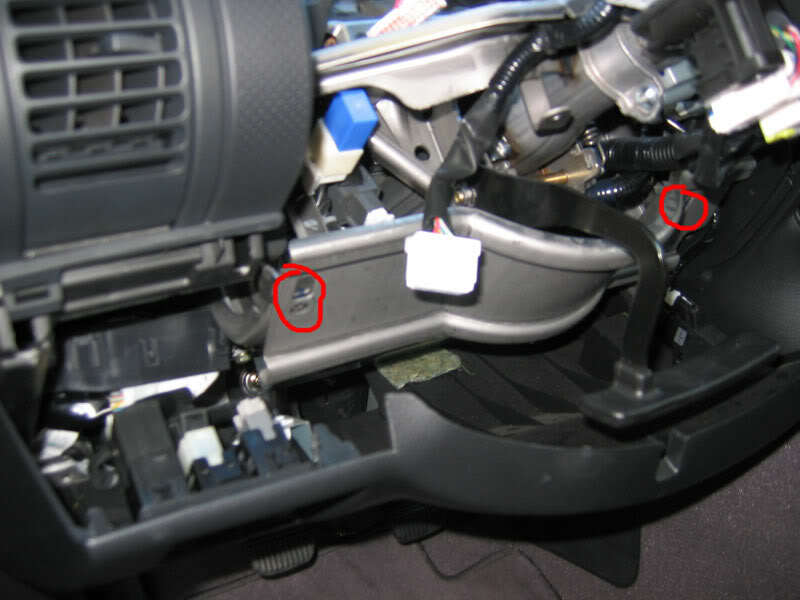 On the wiper assembly, there's plug connected to it. 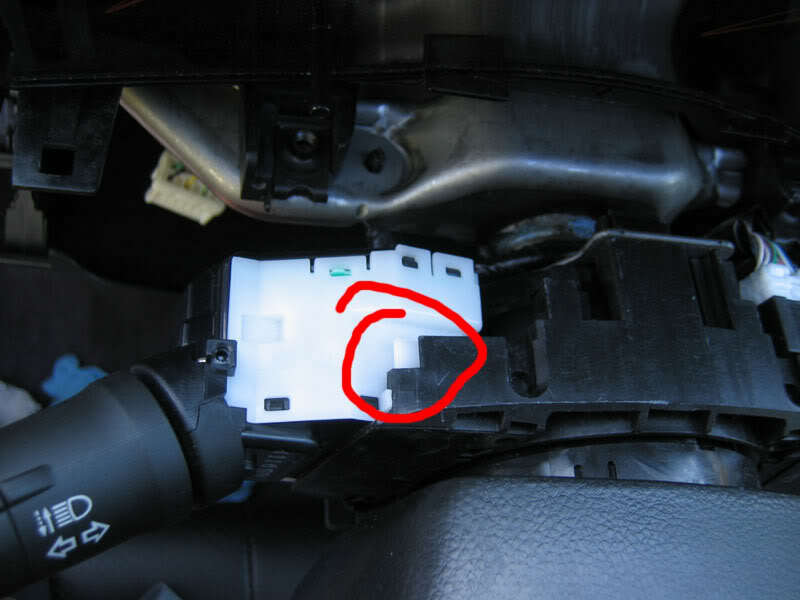 Take out the assembly then remove the plug or which ever way is easier for you. 8) now here's the annoying part. 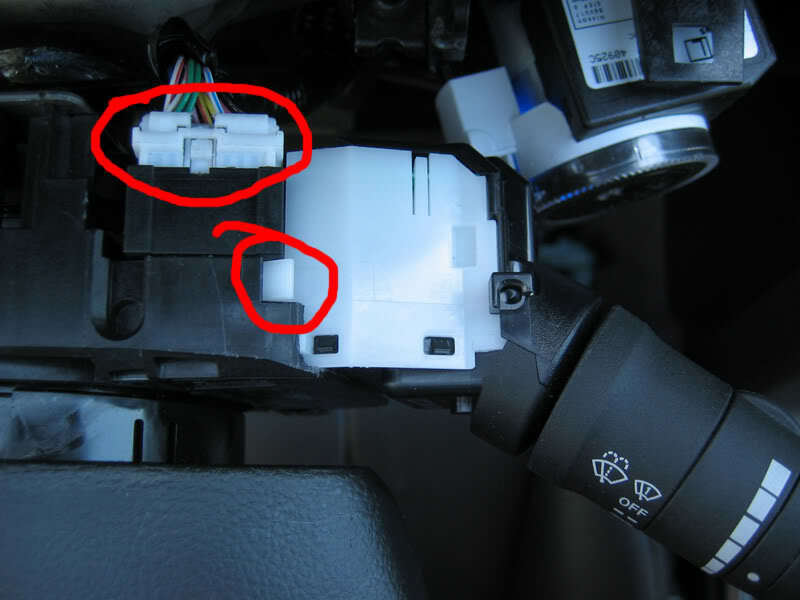 now that the gauge cluster is loose and moving around, you have to wiggle the whole assembly partially out to get access to the plugs that's behind the gauge cluster, but first you have to unplug the power mirror switch plug. 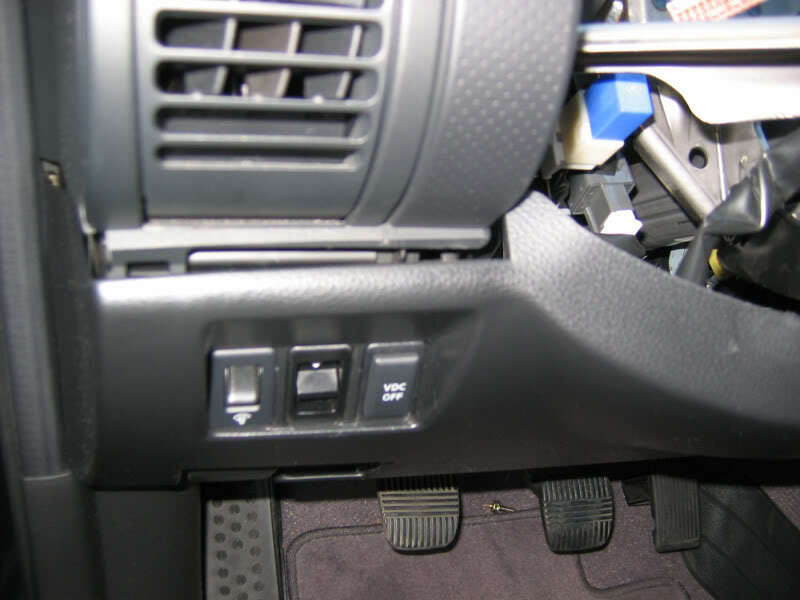 Use the screwdriver to presss on the tabs to take the plugs out. Press the tab and PULL. After all the plugs are out, work the gauge cluster out. I would recommend putting towels over the dash so you won't scratch anything. that's all folks. hopefully i didn't miss anything. Do you know if the guage cluster on the G35 is the only thing that records the mileage on the car? Vaid question. It would be nice if the mileage was stored somewhere else in memory, but from what I've read in a similar thread on Driver it isnt. When ppl have replaced theirs with the nismo or JDM, their mileage starts over, is my understanding. i am interested in doing this to swap out the US cluster with a Canadian cluster, is this write up for 07+ ? or before? THANKS!!! 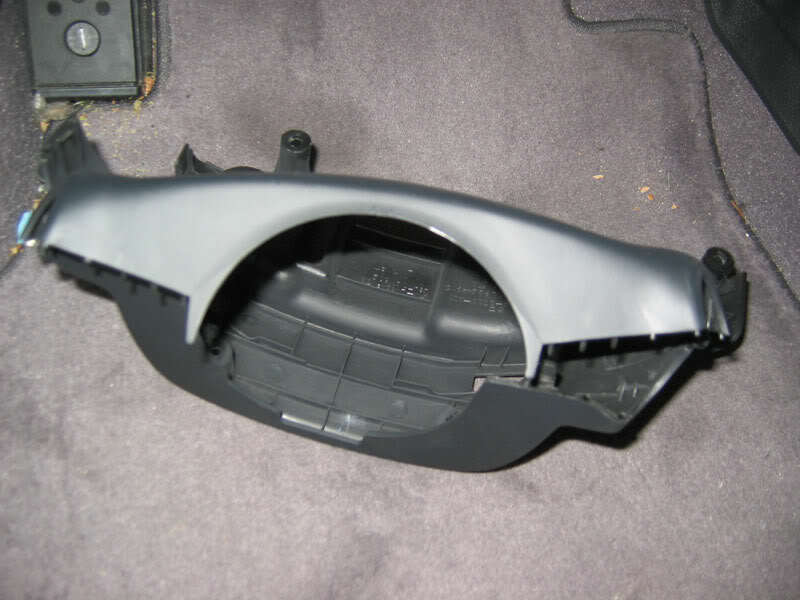 does anyone have any photo day and night shots of an aftermarket cluster for an 03-04? Thanks , very helpful I appreciate it a lot. Happy new year all the way down from Puerto Rico. With this off, can you see if there a way to lower the tilt steering more? 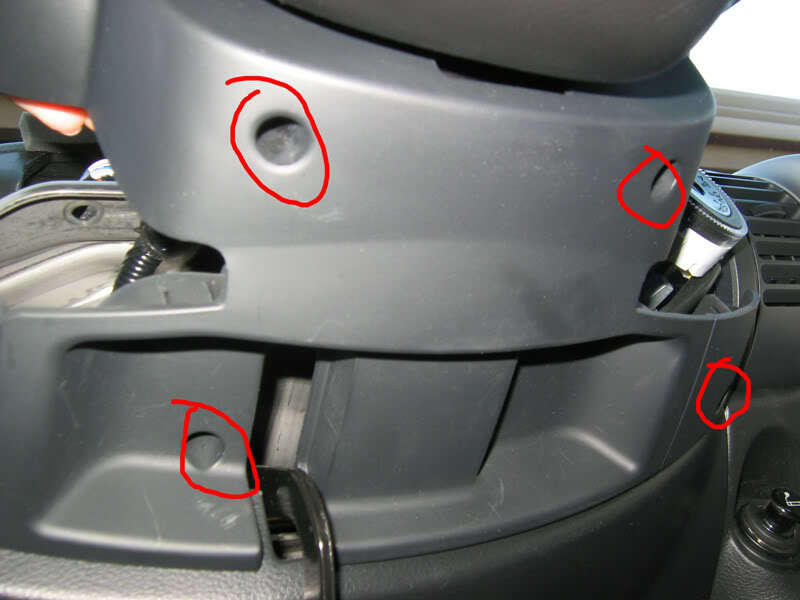 There was a "fix" similar to this for lowering the drivers set slightly (unscrewing a lock nut a few turns) and I'm wondering if the same can be doen for the power tilt steering? Thank you for these instructions. 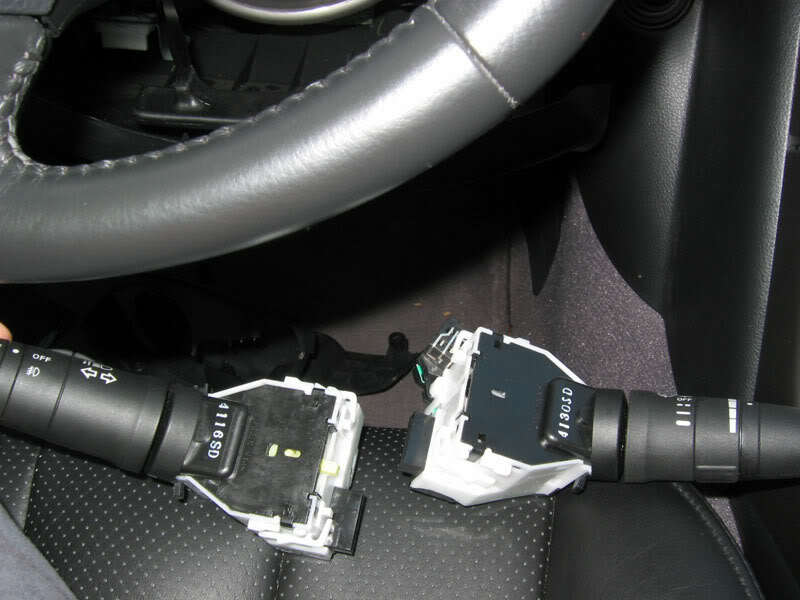 I just finished changing the cluster on my 06 sedan. Now I having a working gas gauge, Speedo, and turn signal. Should I disconnect the battery before doing this?